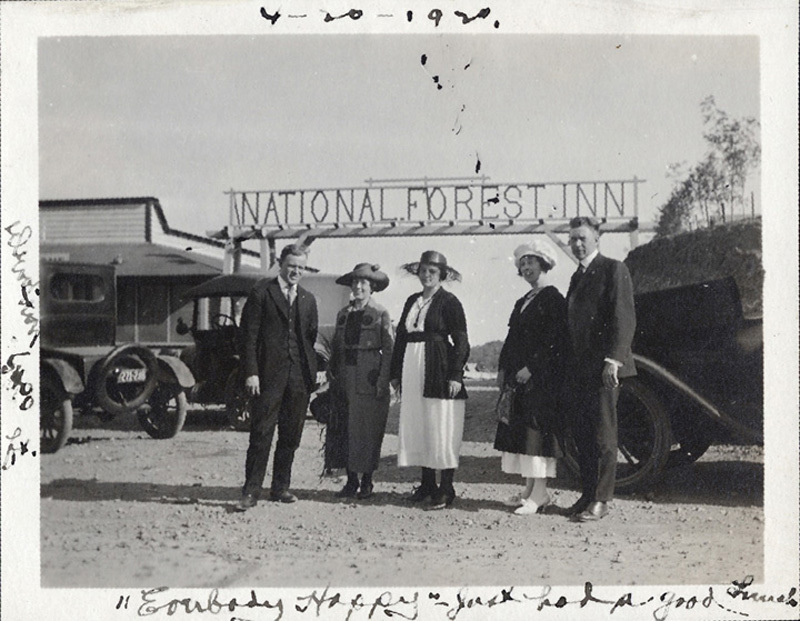 Photograph: Travelers in front of National Forest Inn on the Ridge Route April 20, 1920. Caption states: "Elevation 5400 ft. Everybody happy. Just had a good lunch." At 12.4 miles we reach the National Forest Inn which was situated on government-owned land. All that remains today are cement steps on the west side of the road. It was described in a 1932 highway beautification pamphlet with this unkind caption: "The sort of filling station that gets into a national forest and is no addition thereto." Unlike Sandberg's, which was constructed of logs, the National Forest Inn sported neatly trimmed white clapboard buildings. It was built by a gentleman named Courtemanche. A news clipping of 1925 indicates a Joe Palmer as proprietor of the National Forest Inn garage. The 1926 touring guide indicated that there were nine rooms in cottages, most with running water, from $1 to $2, lunch 75 cents; garage; camp 50 cents. A 1926 topography map spots a ranger station at this location. All of the accommodations were on the west side of the road. 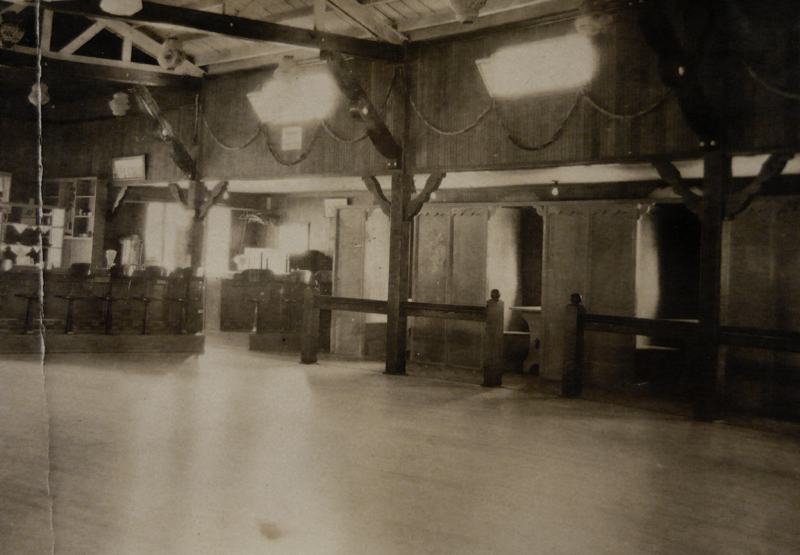 However, there was a large metal building on the east side which housed the highway repair facility and the ranger station. Above this structure on a hill is a small cement-lined reservoir believed to have been built for fire control. Also, west of the of the reservoir are the foundation remains of an old airplane beacon. The beacon site is also shown on a 1928 topography map of the area. The National Forest Inn was destroyed by a fire which originated in the garage on October 20, 1932. Mr. Martin owned the resort at the time, and was reported to have lost considerable cash in the blaze.